How about some Paper Smooches goodies to start off the weekend (yes, I'm starting it now;) This first card is made with the new Party Posse dies. I just love the little hamster from the Party Posse set, so I made them a Habitrail card, heehee! 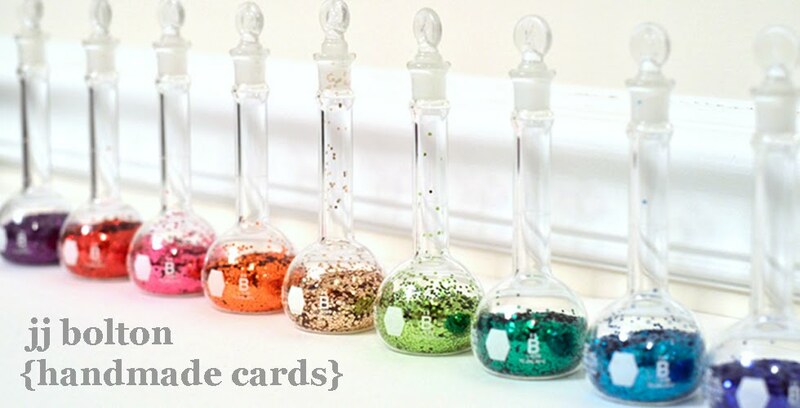 You *know* you remember those colorful tube hamster cages;) I used colored vellum to create my tubes and covered each hammy with an acetate circle. So much fun to make! 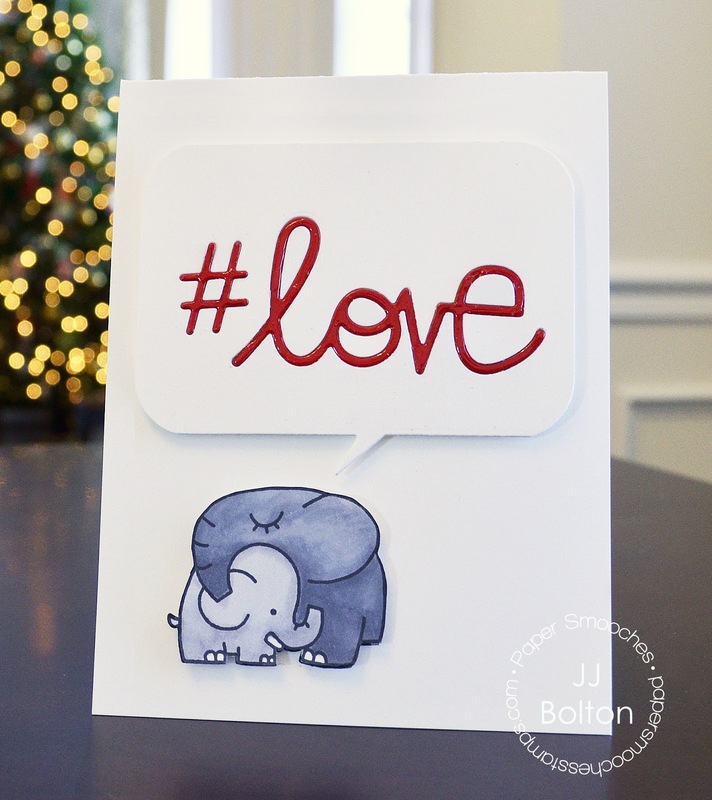 For this card, I used some dies from the Cardbooking set (hashtag and the free form speech bubble dies). 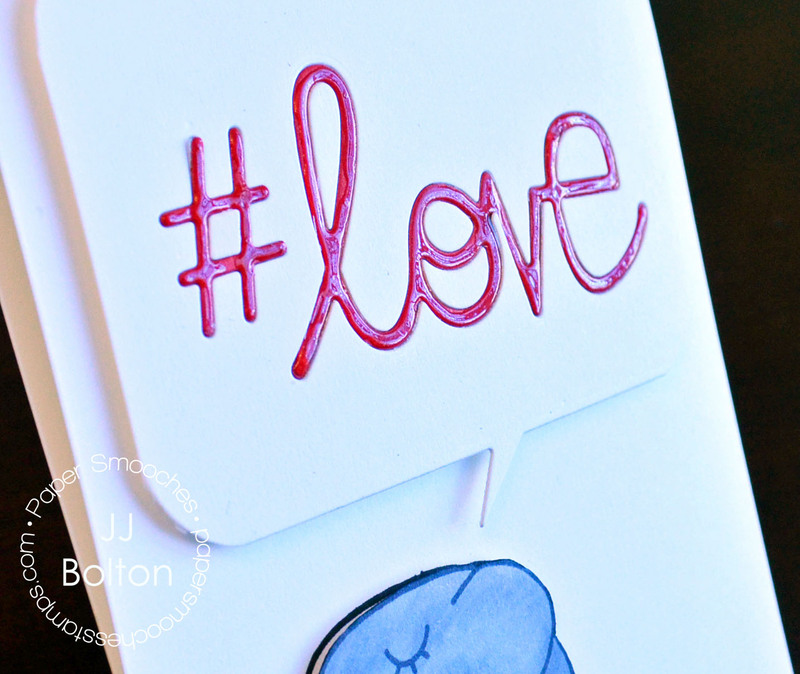 The hashtag and word are inlaid, but I covered them with a bit of glossy accents to make them stand out. Almost looks enameled in person. Here's another card from last month, this time with the Frame 1 die. I love the look of the small delicate sentiment on the large label die. To ground the sentiment, I cut another label die, cut it in half, and stamped it with flowers from the Reflections set. The little details like the stitching on the label die really make this simple design more complete. These are great JJ! My favorite is the second one, GORGEOS! The pink and gold and die cuts, fantastic!!! I'm in love with each and every one of these cards. You are super talented. I'm in love with each and every one of these cards. You are super talented. If I had to picka favorite it woudl be the elephant one. I really like the second card - pink and gold - just delicious! Love all your cards, JJ. Love the gold on the second card. The glossy on the "# love" is so cool. Have to try that. TFS. All so sweet! I love the hamsters! You never cease to amaze me, JJ! Your hamster card is adorable! I love that you used colored vellum and created 'tubes' for them...so fun! 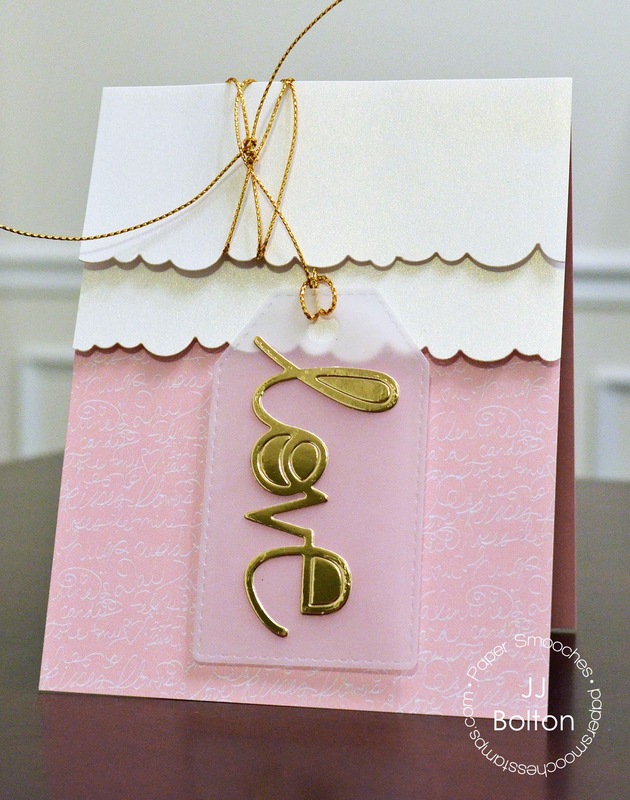 Your gold sentiment on clear vellum is stunning against the lovely pink background on your 2nd card...so soft and elegant! I really enjoyed everything you posted today...it's so fun to visit your blog!